I always like it when hedges are cut into gateways. There’s something slightly mysterious about it – especially as hedges have often been seen as portals to alternative worlds. You see this in fairy tales where they are home to elves, bogles, fairies and other strange creatures, and in literature, for instance in Alice’s Adventures in Wonderland, where the rabbit hole Alice falls down is beneath a hedge (not in the roots of the tree as in the Disney version). 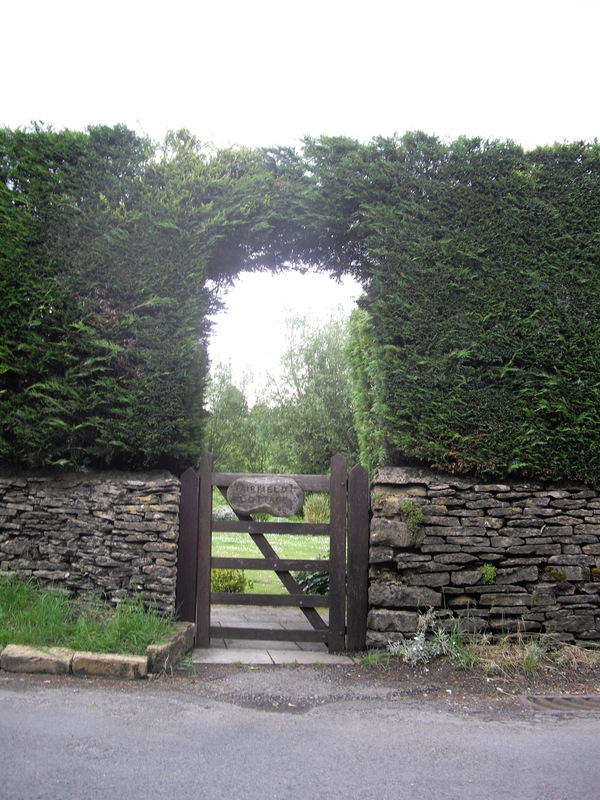 But hedge gateways can also be a bit pompous as they often suggest that you will discover something rather more extraordinary than a suburban garden beyond them. I’m not a fan of McDonalds, before you ask. I’m just entertained by the use of hedgelike objects in an attempt to soften the ugliness of municipal and corporate carparks (and other public spaces). 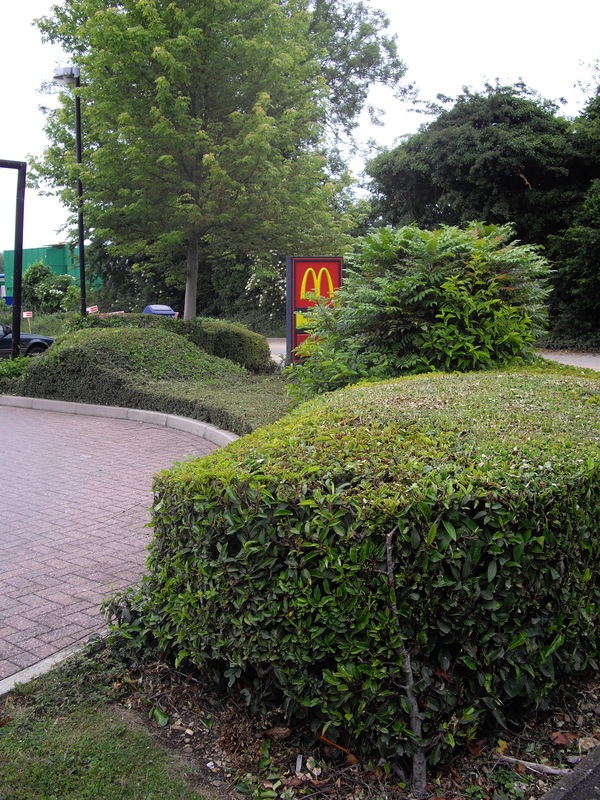 Not quite topiary, not quite a proper hedge. In short, this really is a hedge that is “neither use nor ornament”.